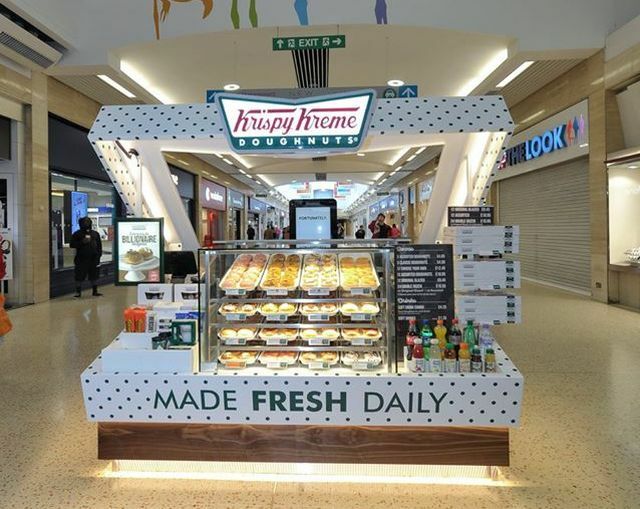 Perhaps the future of Krispy Kreme stores is a giant box of donuts if the new mall locations that have recently opened up in the UK are any indication. 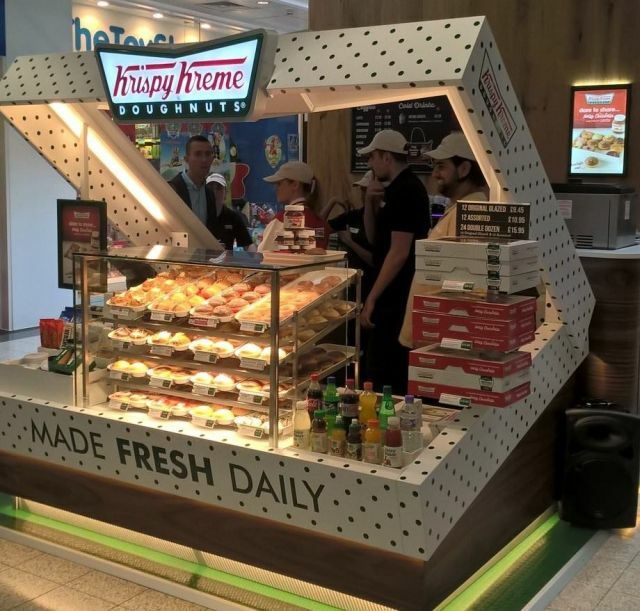 The store designs look like a giant open box of Krispy Kreme donuts, complete with an open window on the lid. Unfortunately, there aren't any giant donuts, but in the center of the open box is the display case for the donuts. The small kiosk footprint of the design means that there's no donut theater (the whole conveyor belt donut-making set up) to view but a giant donut box is still pretty cool.